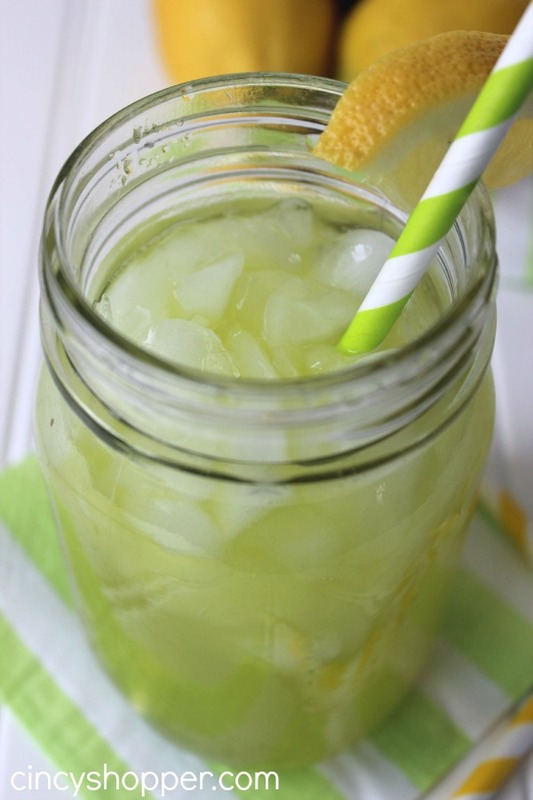 This CopyCat Applebee’s Lemonade with Kiwi Recipe is going to be a great recipe to have on hand this summer. When we head out to a eat I am always anxious to take a look at the non-alcoholic drink menu, especially during the summer months. Unique teas and lemonades are always a hit with the entire family. We spend quite a bit of time outside on our patio enjoying the sunshine on hot days. Having refreshing fun drink recipes are always great to treat the kiddos with. We are now huge fans of the kiwi flavoring added to the CopyCat Applebee’s Lemonade base. I think we will also give some other fruit flavors a test too. Applebee’s has some great Lemonades that you can order up with a fruity twist. 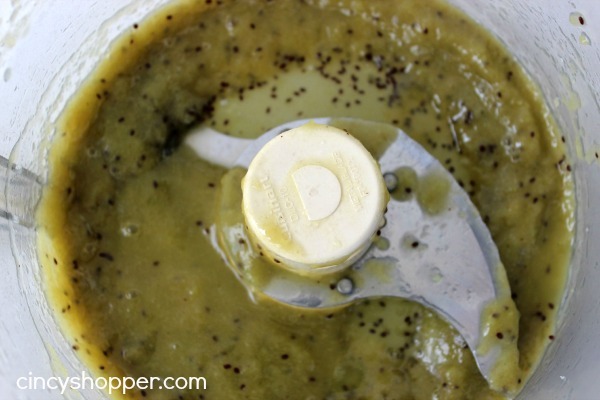 I had a request for a CopyCat Applebees Kiwi Lemonade from a reader. I had order an Applebee’s Lemonade in the past but I had yet to try this drink with the Kiwi option. So today I had an excuse to head on over to Applebee’s for lunch ha ha. I ordered up a Applebee’s Kiwi Lemonade to enjoy on the ride home. I was ready to figure out the exact flavors needed to make this yummy lemonade on the cheap. Applebee’s uses a syrup in their drinks which I believe you can probably find online. I didn’t want to have to spend cash on the syrup so I made the Kiwi Flavoring myself. 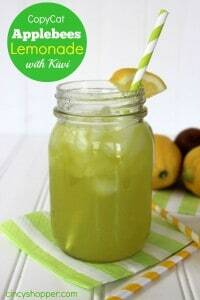 This CopyCat Applebee’s Lemonade with Kiwi Recipe is so tasty and quite simple to create at home. With just a few ingredients you can whip up batches and batches to enjoy yourself or to serve up at a summer time party or grill out. 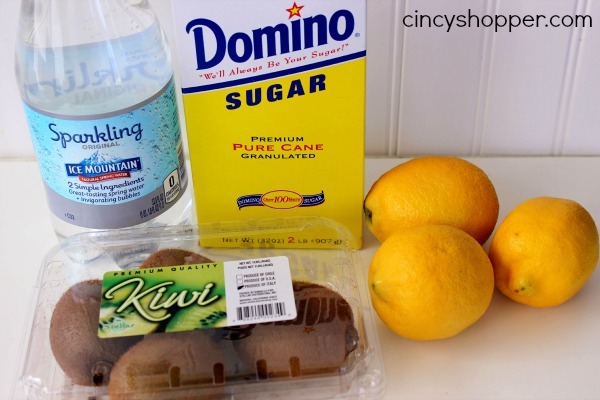 If you would prefer just the lemonade, you will not need the kiwis for this recipe. 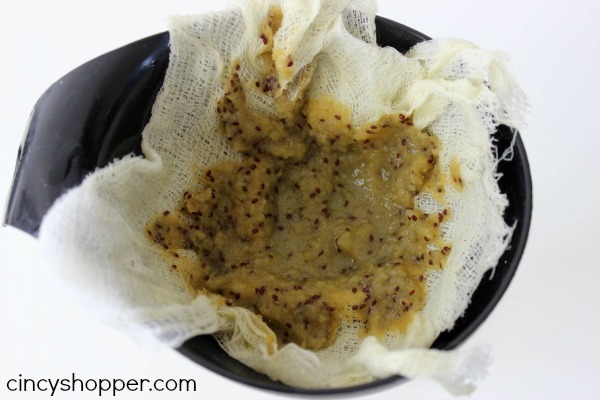 Strain pureed kiwi to remove black seeds (optional). Combine water sugar and lemon juice and stir until sugar is dissolved. Fill glass 2/3 full of lemonade. Add a splash of kiwi juice and fill with sparkling water. The next time we make this Applebee’s Lemonade with Kiwi I think I will leave the seeds in. I think that the seeds would be a great addition. Looking for other refeshing drinks to enjoy at home this summer? If so check out my CopyCat orange Julius Recipe, CopyCat Wendy’s Frosty Recipe, CopyCat Starbucks Passion Tea Lemonade Recipe, CopyCat Starbucks Caramel Frappuccino Recipe, CopyCat Sonic Cherry Limeade Recipe, CopyCat Red Robin Freckled Lemonade Recipe and also our CopyCat Chick-fil-A Lemonade Recipe. Also, are you following my Beverages Board on Pinterest? If not, be sure to follow. I have been pinning some great Beverages to enjoy this summer from all over the web. Can you get me the copycat for red robins strawberry lemonade? Hi Susan! I actually have posted the CopyCat Red Robin Freckled Lemonade already. 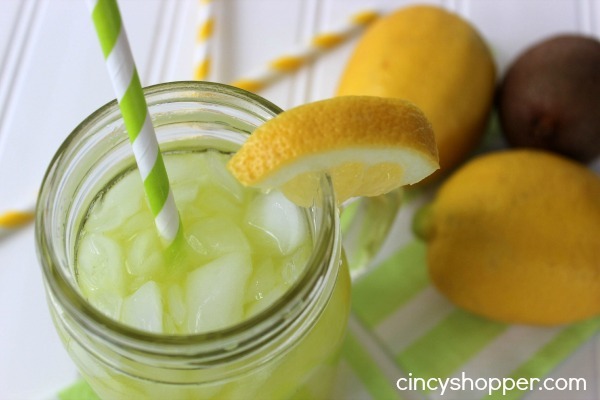 You can find it here… https://cincyshopper.com/copycat-red-robin-freckled-lemonade-recipe/.